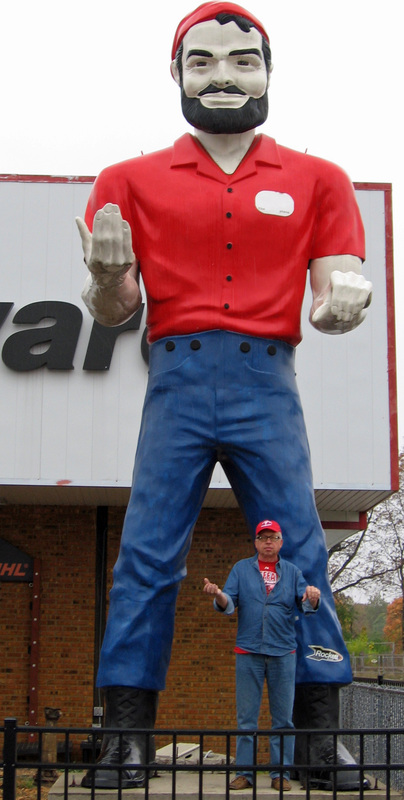 Palmer ACE Muffler Man – The Home of My "Big Things"
I found this Lumberjack Muffler Man outside the Palmer ACE Hardware store on Lowell Street in Elkhart, Indiana. We tracked him down on our way back from a quick visit to Saugatuck, MI for Fall Break. Late October and kind of mixed weather but nice to get away nonetheless.